This is the fourth page of my 5-page pitch to DC Comics, in 1992, for a Batman comics project based off the TV series. 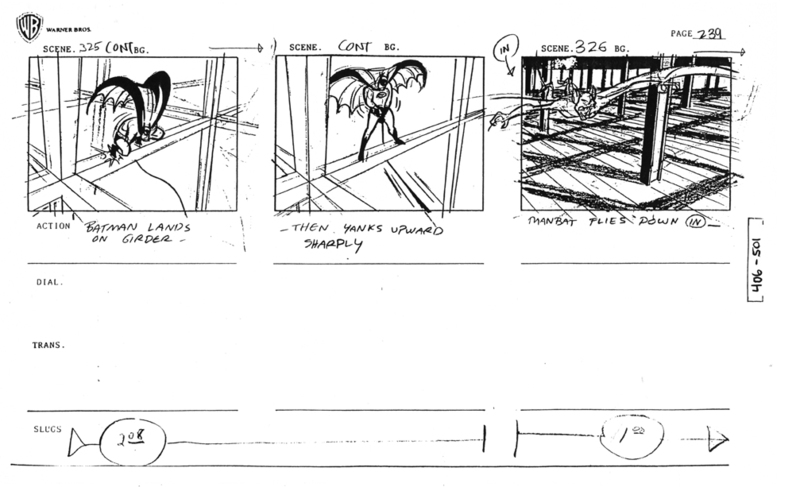 I’m including the storyboard pages from which it was adapted. 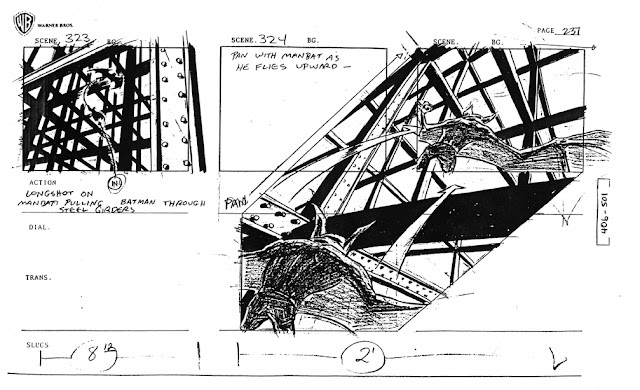 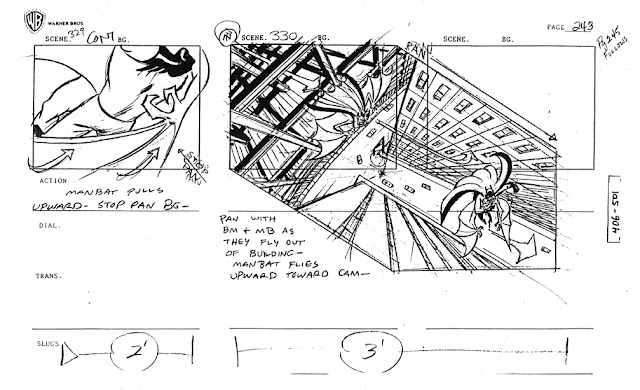 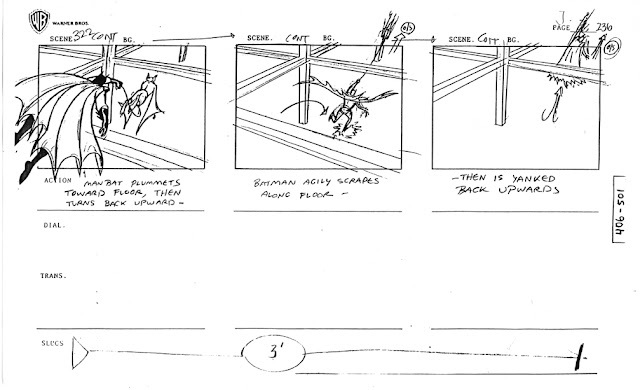 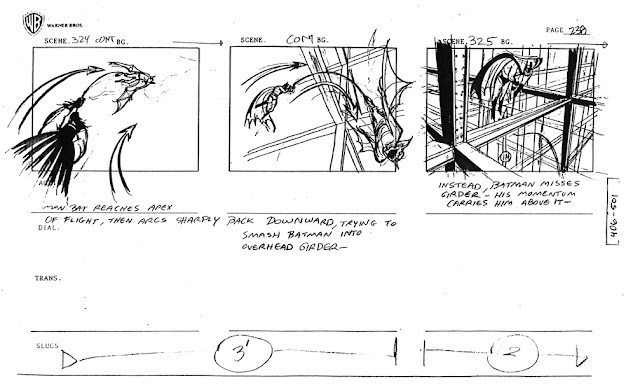 Bruce Timm’s hand can be seen in this storyboard sequence, as he took it upon himself to ink several of the Batman and Man-Bat figures. 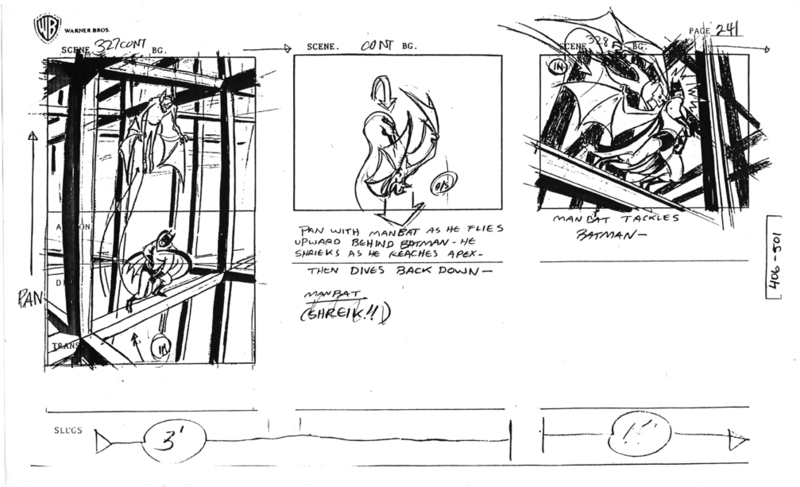 At this late date (24 years hence and given the crappy quality of the source copies) it’s hard for me to tell which clean ups are his and which are mine, especially since I was doing my best to imitate his style. I should write a few words on what a gas it was to work on this series. I the operative on-going question was, “How long can this go on before they stop us?” As far as I know we were blessedly free from interference, at least on Season One, which was my tenure (along with “Masque of the Phantasm”, where I storyboarded the climactic “Tomorrowland” sequence.) 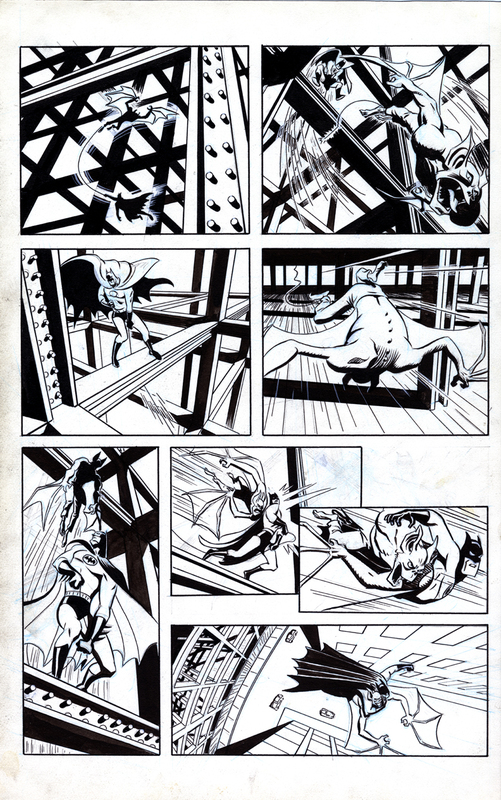 Bruce Timm’s simplified, stylized character designs were fun and easy to draw, and Eric Radomski’s background stylings were inherently dramatic, lending themselves to cool compositions. 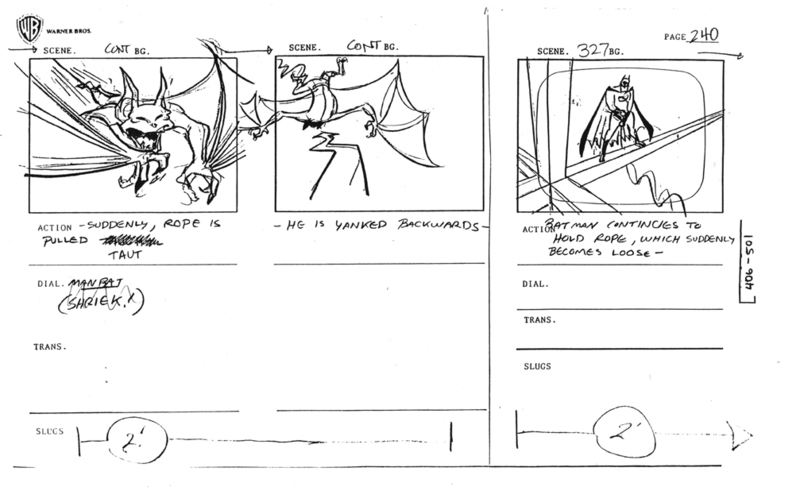 My unit director, Kevin Altieri, and I were so in synch that he could hand me a chunk of other artists’ storyboards and say, “This doesn’t work; fix it.” I was doing my best work up to that point and barely putting in a 40-hour week. (In fact, I was helping other artists meet THEIR deadlines. ) Oh yeah, and the writing was good.